My Mom Was My Biggest Fan. Today, in many parts of the world, we will show our love and appreciation to our mothers, in word, deed and action. We will have spent millions of dollars by the end of the day making sure that Mom has a day to remember. Some of us may not spend that much, if any at all, but just by a simple gesture and appreciation of the one who nurtured us from the day of our conception, will make Mom happy. 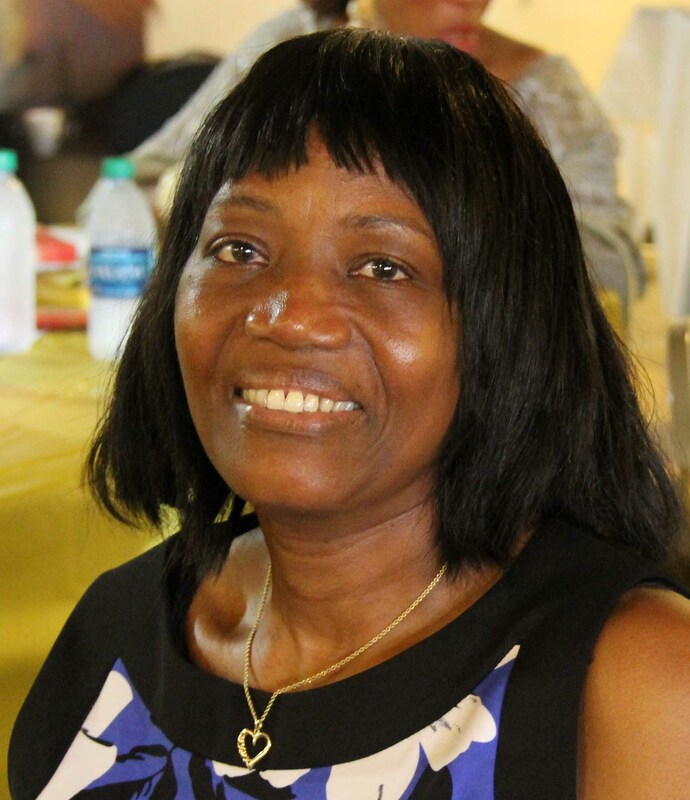 I will not have the opportunity to wish my mom, Vernice, (Ma Shaden) Happy Mother’s Day because almost five years ago she unexpectedly departed this world. It was a devastating loss to say the least, because just a few months before, I had told her that I would see her again-but that did not happen. But I will still acknowledge her today; still say a prayer for the woman who untiringly cared for her brood of seven–a stay home mom all her life–who devoted her time and talent doing everything possible to make her family comfortable, well fed and well-mannered. She taught us to be prayerful and kind and to love family. She was talented in her own way too….crocheting, knitting, doily making, sewing, cooking and baking and entertaining friends and family. Yet, she was like a hawk watching over its young, making sure, to a fault maybe, that nothing happened to any of us. I will always regard my Mom as my biggest supporter, in my role as an artist. If no one else appreciated what I did, I know she did. I remember the day when my first short story was published in the Star Newspaper, I proudly brought it to her and I know she too was proud of me when she read it. She proudly displayed my paintings on the walls of our home in St. Joseph alongside those of my uncle Ronald, who was my inspiration. She had them on the porch and inside as well and ensured that nothing happened to them. My Mom always took great pride in my artistic endeavors although she was always concerned that my work did not have political undertones since she did not want us to have anything to do with politics. I remember her being very upset that I was staging a play with the Campeche Youth group entitled “The Hard Road’” that someone had hinted to her was written about the then Labor Party in Dominica. She sent my brother Simon to the Lower School Room to ask me to come home only to have to explain to her that it was my own version of “Jesus Christ, Superstar,” and nothing to do with the then Prime Minister Patrick John and his Labor Party Government. From then, all was well. After I had immigrated to the United States, she would send me any newspaper clippings or a newspaper where my work was featured. On other occasions she would let me know when she heard a recording of me reading a poem or short story on DBS Radio or of a school child reading one of the poems at an event. I know that brought her joy. I would also be sure to get my birthday, anniversary, Christmas or Easter card without fail and every now and then a letter letting me on all those who said hello and all the past students of the SMA who asked if she was “Giftus’ mother?” and every now and then a family photograph of an event that I missed. I knew her unmistakable hand-writing and I was always glad to receive her mail. 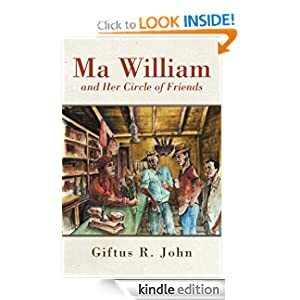 When I had completed the draft of “Ma William and Her Circle of Friends,” I sent a copy for her feedback, not being aware that she would not get the opportunity to read it. She had read “Mesye Kwik! Kwak!” and she was very intrigued by what I had written. 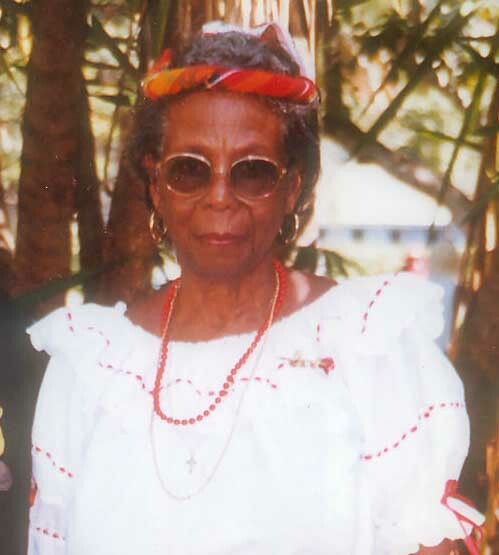 I can still hear her asking me…”Pa Gif (that’s how she fondly called me at times) where you getting all that from? She was always amazed that I remembered certain events that took place when I was a kid. I know I am not alone on a day like today; there are many of us today who will just enjoy the memories and cherish them forever, including my own wife, Theresa (Mariel) who will be honored by the Dominica Emerald Organization of New Jersey as Mother of the Year, at a function at the Manor in Irvington, NJ. I know it is a most deserving accolade. She has worked hard to see our two children, Mandisa and Jamal, become the young adults they are today and achieve their goals and dreams. At the same time she has been quite involved in many social activities, helping out and being a true role model for the younger ones. I salute all mothers today—and Mom, you too, though you’re watching from above and asking why I am writing this—and especially my dear wife, for all that you have done and continue to do, despite all the challenges, the difficulties, missteps and disappointments, but in the end you are the glue that keeps all your families together. I think I mentioned this before but I believe it is worth repeating today. Some years ago, I was in the village of Calibishie as a member of the Somerset Sports Club playing a game of cricket against a team from that village. Some time in the afternoon, there was a Mothers’ Day function at the Calibishie Primary school. At some point during the function someone started to read a poem. I soon realized she was reading my poem, She which was originally published in “The Dawn” my first book of poems and later in “The Island Man Sings His Song.” I shivered—she was really reading my poem. I did not say anything nor identify myself to anyone from the village, though my teammates knew…I just listened and enjoyed the moment…a special moment for me and for all those who cheered when the young lady was finished reading the poem. Before I end I want once again say to all Moms out there…and especially my Mom, my wife and my sisters, sisters-in-law, my aunt, and all my relatives all over…Happy Mothers’ Day. God’s richest blessings to all of you. Let me end by sharing the poem that that young lady read some years ago in the school building in Calibishie…just for you Moms today!. The food of my hunger. The Queen of My Life. The Sun that guides my life. She who stays near while I am asleep. She’s My Queen, My Sun, My Moon, My Life.